Darren Palmer’s new book HomeSpace addresses real life interior design for the not-so-nuclear modern family. 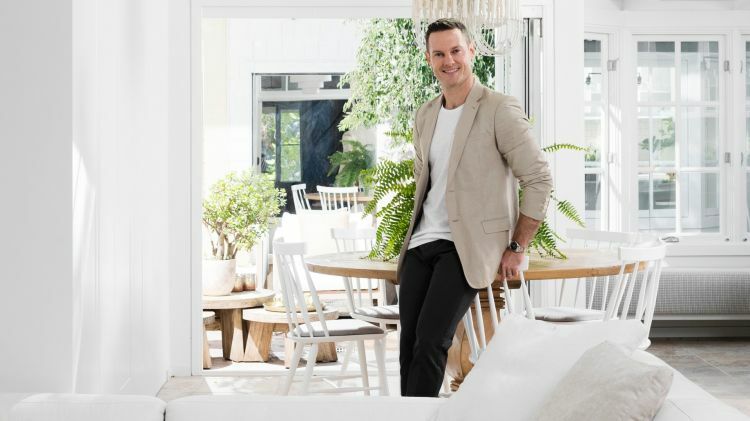 As interior designer to the stars, a judge on Channel 9’s The Block, and contributor to a wealth of publications on the topic – what Darren Palmer doesn’t know about designing a home probably doesn’t bear reading about. His first book Easy Luxury with its uncomplicated and jargon free approach proved a hit with readers – so he is back with a second book, HomeSpace. In HomeSpace, Darren shares his insights on our relationship with our living spaces, and offers a variety of approaches to turn a house into something much more personal. Your first book, Easy Luxury, “de-complicated” the design process to make it accessible to anyone on any budget and on any scale. What doesHomeSpace offer new readers, and also those who read your first book? I wanted to lay down the foundations of good design so people could understand what made good spaces work and how they could interpret good design principals for themselves in their own homes. What I wanted to achieve with HomeSpace was to show that process in different types of houses. People think there must be a style or trend for them, and the way that other people do it must be the way they should do it too, but my version of the truth is that people influence their outcome so no two projects or results should ever be the same. The cookie cutter approach to design is fine if you want to colour by numbers, but if you want to create a home that fits you and yours you need to understand how your desires, your needs, your location and your family all influence the “ideal” home for you. In HomeSpace I wanted to show the end result, the thought process behind it – what the family needed and how we adapted the common elements of design … to change the space they have into the homes they love. Why is having a well-designed home important? From a functional point of view, you want your home to stand up to and thrive with the demands you place on it. There’s no fun in constantly berating your loved ones to keep everything clean if you have a heavy traffic household. You’re better off, and everyone around you is too, to design for the constraints you have so that you can clean things easily and replace or repair what gets damaged if that’s your life … You can have delicate or fragile things if you have a thoroughly adult house but it’s through design that you satisfy the demands of your household. Design is the answer to order, to cleanliness, to satisfaction and happiness in a home. There’s a lot to be said for coming home to a place that reflects you and what affect that has on your mental wellbeing. There’s also a strong case for the feeling of prosperity people have in their homes and how that affects their general wellbeing in working and interpersonal relationships. To those who are feeling overwhelmed by the process of redecorating, renovating or designing a new home from scratch – what is the best way to start?